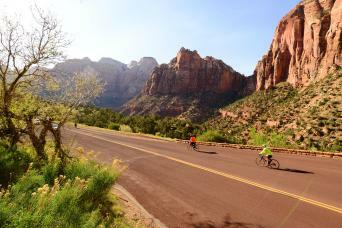 Guided hiking and bike tours in Utah; see the most impressive canyons, trails, and vistas of Zion National Park, Bryce Canyon National Park, and other impressive and less known sites like Kodachrome, Escalante Grand Staircase, and Gooseberry Mesa. Our Guided hiking tours get you up close and on trails that make the experience unforgettable. Some places are only accessible by foot, so even our cycling tours add some foot travel! 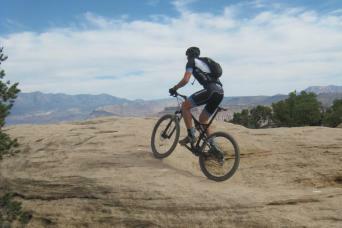 Or, mountain bike some slick rock and single track that few visit - where you can shred like Moab without the crowds! Our Utah hiking and bike tours are all deluxe camp based trips so the price can't be beat!